It's that time, to say Thanks. I'm an extreme A-type, crazy, organized kinda gal. So you can bet your bottom dollar that I'm all over my holiday lists. This time of year...I have lists for my lists. The kiddos, friends, family, co-workers, handy-men and the mailman! I send each and every one of them a card. Gratitude is something I'm working very hard to teach my children. Saying thanks for those who do good for them. And treating people the way you would want to be treated back. And what's nicer then receiving a hand written note from someone? A note that someone took the time to write and put thought into. Well with these long lists and even longer days full of work + kids, I need a little help... That's where our friends at Minted come in. With just a few clicks I can go as far as ordering cards in the most fabulous designs with all of the fixings like custom envelope liners, return address labels and pre-adressed envelopes. Forget the mail merge this year! Let Minted give you a hand... Minted makes it so easy and the quality is incredible. Thick paper, foil, metallic, polka dots...ah! Sometimes I feel like my head is going to explode when looking at all of the fabulous options on their site! 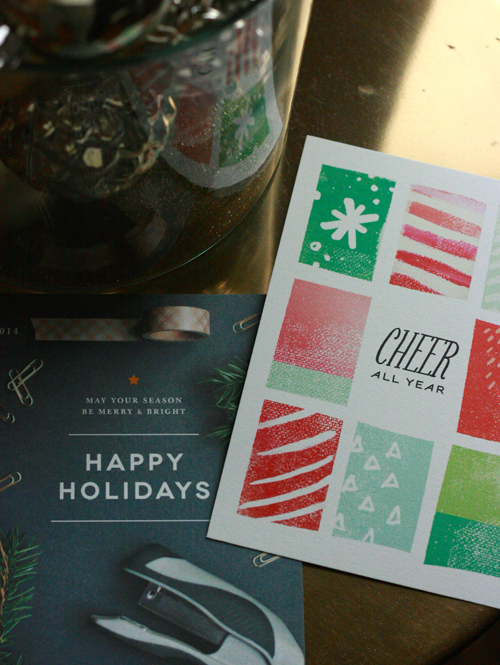 It doesn't stop at holiday cards, Minted has so much to offer for all of your entertaining (and even decorating!) needs. Party decor, custom printables and they have an art market with a line of independent artists who they carefully select and sell beautiful prints and wall art. 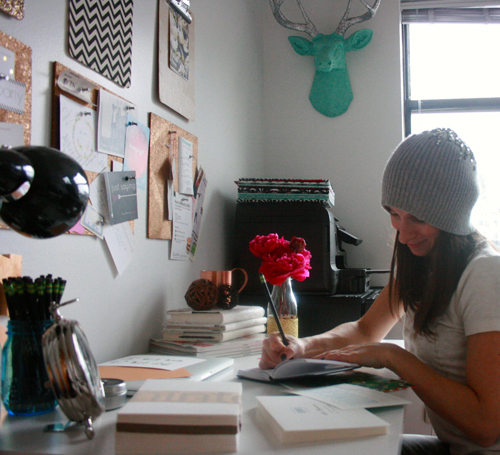 We are in the process of designing our LMP holiday card with Minted as we speak...do you want to see it? We can't wait to share! Make sure you tune in and check back in a couple of weeks when we publish the final outcome! The holidays are all about celebrating and that's what we know best. We are so glad to have a partner like Minted to help ensure we don't miss a beat when it comes to setting the tone for a party, saying thanks and all of the little details in between. No matter how busy you are this holiday season, try to set a few minutes aside to say thanks and I love you to those people who are most special to you. From LMP to you...thanks for sticking with us! It's been a fabulous year so far.